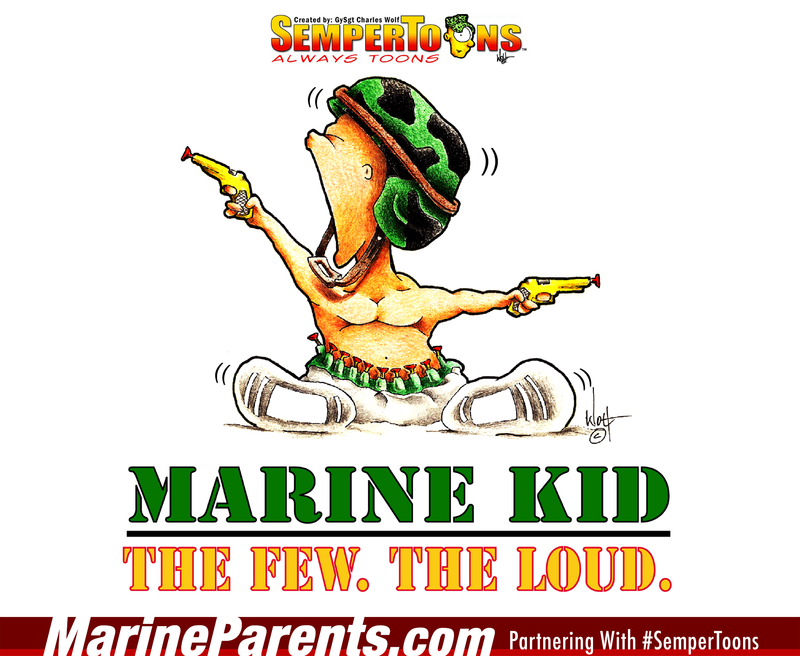 Gunny Wolf from SemperToons has created this cartoon that features a baby with the text "Marine Kid. The Few. The Loud." Shop The Few The Loud SemperToons at the EGA Shop.